Personalize your cat’s meals with Creatables Crunchy Bites. I received a free sample of Muse Creatables Crunchy Bites - Natural Grain Free Bites with Chicken from PINCHme. My kitty girl love it. She got so excited when she caught her first whiff of the packaging being opened. She devoured all of it. Will definitely purchase these on a regular basis. 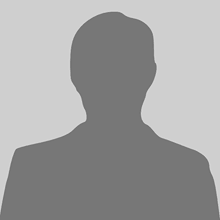 I received this "Muse" " Creatables Crunchy Bites-Natural Grain" as a free sample. I received it from Pinchme, my cat Catita loved it. 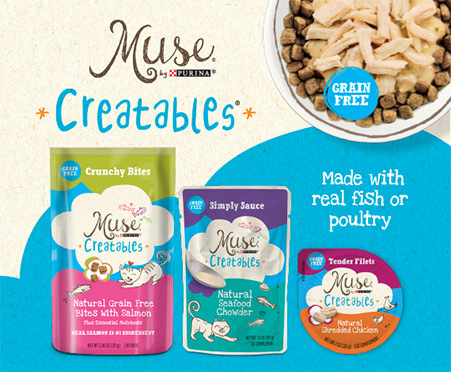 Received the Muse Creatables crunchy bites Natural grain free bites with chicken as a sample from pinchme... poured it on my cats plate and they loved it.. I mean come on I love how people are finally spoiling cats or making it able so we can. We got to try Muse Creatables Crunchy Bites _ Natural Bites with Chicken with a sample bag from Pinchme.com. They were a real win with my cat! He could hear the package when I got them from the cupboard and could come quick to get his treat!!! Highly recommend! My cat expects treats and relishes getting them. She loved these treats. After her first taste she begged for more. Creatables Crunchy Bites - Natural Grain Free Bites with Chicken is simply amazing! My cat loves them and they are healthy for him. My cat wouldn't stop eating the Muse Creatables Crunchy Bites! My cats liked the Muse creatables in chicken flavor. The pieces were small like treats and they gobbled them up! 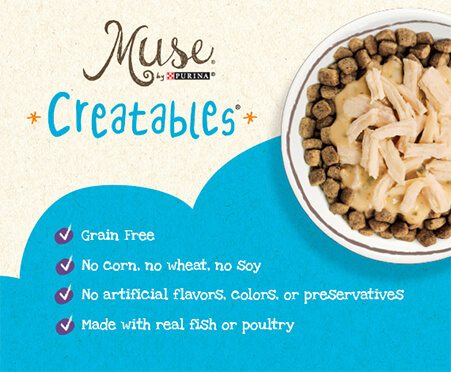 I received a free sample of Muse Creatables Crunchy Bites - Natural Grain Free Bites with Chicken from Pinchme. Muse Creatables Crunchy Bites had a pleasant smell and texture. My cats really enjoyed this food and gobbled it right up. I will definitely purchase this for them in the future. My cat enjoyed the muse creatable crunchy bites . She went back for more after I gave it to him. I would prefer if the item was a snack. I think having to a different components make it complicated. Muse creatables crunchy bites is by far my cats favorite food, especially after adding some simply sauce. He finishes everything which is amazing! No more worrying about them not getting a balanced meal. I received a free sample of muse creatables crunchy bites natural grain free bites with chicken from pinchme my cat really liked this food i mixed it with his usual wet food and also gave it as treats. This is amazing my cats love it! And my dogs even cried wanting some lol I’ll continue to purchase this!